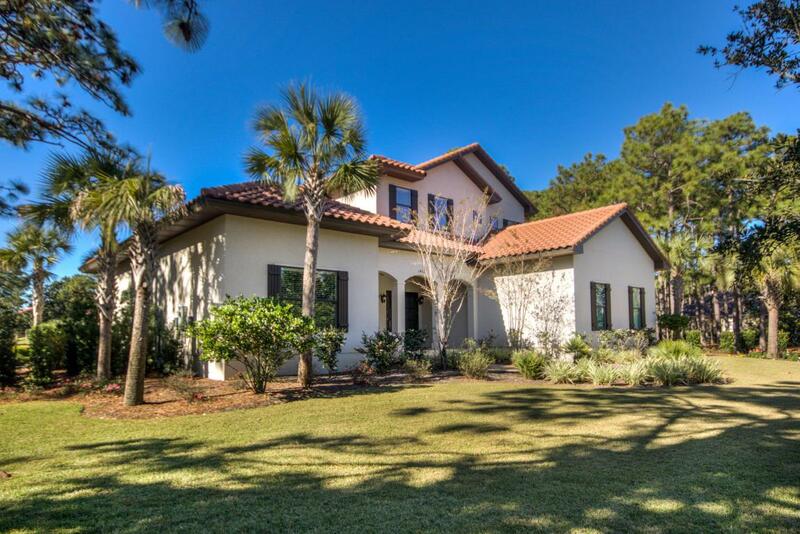 Built in 2015 ...Great Home 4 Beds 4 Baths plus a Study Overlooking the Par3 16th Hole of the Raven Golf Course. The Home features Stainless Steel Dacor Appliances,Hardwood flooring, custom cabinetry, Granite counter tops with white glazed cabinets, Pecky Cypress mantel,Cypress inlay shelving. Other features include 12'ceilings,Samsung TV in the Great room,Outdoor Summer Kitchen,expansive views of the golf course and Room for a Pool if desired.SELLER HAS AN APPROVED ARB POOL PLAN. If you are considering a Newer home in the Sandestin Resort this is one to consider. Call Today !